Famed Colorado tie John Barr is most famous for his Copper John, but many streamers lovers are also fans of the streamer/jig hybrid known as the Meat Whistle. Barr originally designed the pattern for bass fishing–sort of a fly-fishing take on the Pig ‘n’ Jig that conventional anglers use. But the Meat Whistle has since proven to be a killer trout streamer, as well. 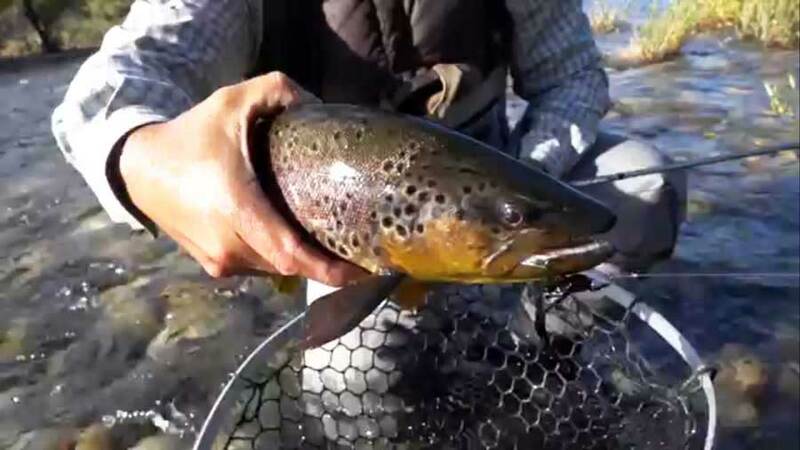 In this week’s video, Tim Flagler of Tightline Productions shows you how to tie this cool pattern, which he used to great effect on his recent trip to Argentina. Tim’s version is quite a bit different from the original, and it’s easier to tie, as well. Hook: Long-shank jig hook (here a Mustad 32833NP-BN), sizes 1/0-2. Head: Copper tungsten conehead, large. Tail/Body: Rusty brown rabbit zonker strip. Thread: Rusty brown, 6/0 or 140-denier. Underbody: Copper brown/pearl Sparkle Braid. Legs: Pumpkin Barred Sili Legs. Collar: Brown Grizzly Saddle Hackle. Thread dam: Rusty brown, 6/0 or 140-denier. Adhesive: UV-cure resin, 2 coats.